*"STATE FILING FEES"& ATTORNEY'S FEE. 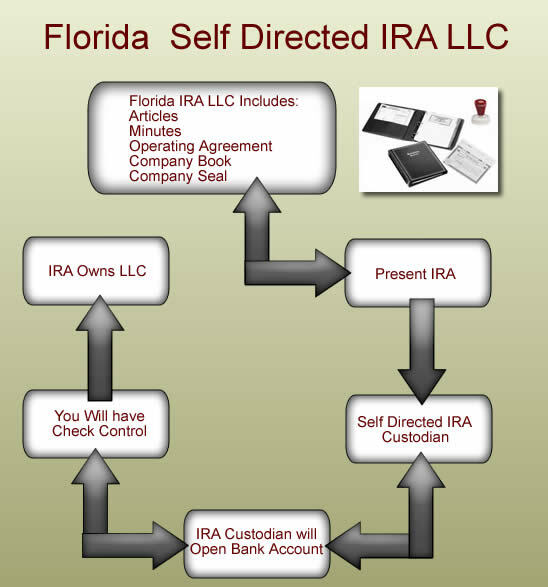 The Florida Self Directed IRA Limited Liability Company. What is a Self Directed IRA LLC? It is your ability to control how your IRA is invested. IRAs can be created by contribution subject to annual dollar limits or by rollover from a qualified plan. The Internal Revenue Code requires a written agreement containing certain provisions when setting up an IRA. When setting up your Self Directed IRA our Firm will complete the necessary agreement to complete the process. Some of the more complex IRA Agreements must be submitted by the IRA custodian or trustee for approval by the IRS prior to use. We will be glad to provide such direction if this step becomes necessary. The IRA owner cannot normally take out distributions prior to age 59 ½ without a penalty, and except in the case of a Roth IRA, must start taking distributions out by April 1st of the year after the year in which the IRA owner turns 70 ½. No one has any rights to an IRA during the lifetime of the IRA owner except the IRA owner. There is no such thing as an irrevocable beneficiary designation during the lifetime because the IRA must always belong to the individual it was established for during the lifetime of that individual. There are no automatic spousal rights in IRAs under federal law as they are not subject to ERISA. Qualified plans have rules that are basically the same as those for IRAs. There are penalties for withdrawal before the appropriate age, and in some cases, withdrawals are prohibited until retirement or separation from service. All plans will have a written agreement, a trustee and a plan administrator; but it is important to note that some plans allow the participant to direct investments within their account. Note: The IRS also makes it clear that despite the fact that the IRA owner may direct investments and retain most traditional powers that might otherwise create a passive trust, such direction by the IRA owner will not cause the assets of the IRA to be treated as owned by the IRA owner. The lending of money or other extensions of credit between an IRA and any Disqualified person. The receipt by any Disqualified Person of any consideration in connection with a transaction involving my IRA. any corporation, partnership, trust or estate in which the IRA owner individually has a 50% or greater interest. Provided that an IRA does not engage in a prohibited transaction, it is clear from Private Letter Rulings, Department of Labor Rulings and Tax Courts Opinions that mere investment in real estate, closely held business interest or other alternative types of investments will not disqualify the account and will allow the IRA owner to enjoy tax-deferred growth. Non-disqualified loopholes: Brother, sister, Uncle, aunt, cousin. Retirement Plan income that is generated from a trade or business regularly carried on by such account that is not substantially related to its tax-exempt purpose could be subject to UBTI which is ordinary income at the trust tax rate, payable by the IRA account. Additionally, leveraging of real estate can create Unrelated Debt-Financed Income. 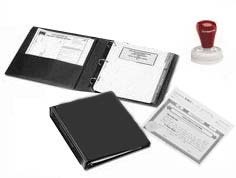 There are exceptions in the UBTI and UDFI, but each transaction must be thoroughly reviewed. As stated above, if a transaction within an IRA is deemed to be prohibited, it can result in the disqualification of the entire account as of the first day of the tax year within the year that the transaction occurred. A way to protect an IRA owner from such a problem is to segregate any investments that may fall into a “gray area” or that might appear subject to scrutiny into a separate IRA account. By doing so, the IRA owner is only putting the IRA at risk so long as the prohibited transaction is not so egregious as to generate additional penalties beyond the IRA itself. This is one way to protect the IRA so that in the event that a prohibited transaction occurs, it does not disqualify any other retirement assets. In a victory for self-directed IRA owners, the U.S. Supreme Court ruled in April 2005 that IRAs receive Federal Creditor Protection. This means that creditors cannot seize assets in an Individual Retirement Account. The Supreme Court ruled unanimously that IRAs should join pensions, 401(k)s, Social Security, and other benefits tied to age, illness, or disability, that are afforded protection under federal bankruptcy law and thus shielded from creditors in bankruptcy proceedings. Justice Clarence Thomas, writing for the Court, said a bankrupt Arkansas couple was entitled to keep more than $55,000 in retirement savings from creditors. He reasoned that IRAs are benefits tied to a person's age under the federal statute because a tax penalty is imposed if a person makes withdrawals before age 60. However, the court did not address the topic of whether large IRA accounts would be protected under the federal bankruptcy code. The code has a provision stating that certain assets (such as retirement plans) that are deemed to be "reasonably necessary" to support a debtor and his/her family are protected from creditors. The uncertainty of what is "reasonably necessary" means some assets in large IRAs might not be protected.